German universities are finally starting to engage with a particular kind of treasure many of them still possess: collections of many diverse categories that may have made a substantial contribution to the history as well as the scholarship of a particular institution. Sometimes such collectibles may have been part of a university’s possession for several centuries, sometimes they may have been acquired much more recently in connection with the creation of a new professorship. What they very often share is the fact that they were heavily damaged during the wars of the twentieth century and subsequently lead a shadowy existence rather than being used intensively for research and teaching. In recent years, however, not least under the impression and developing possibilities of digital humanities innovative ways of preserving and using such materials are being sought. First outcomes were in 2004 the foundation of the project Universitätssammlungen in Deutschland: Das Informationssystem zu Sammlungen und Museen an deutschen Universitäten (funded by the Deutsche Forschungsgemeinschaft, DFG), which is situated at the Hermann von Helmholtz-Zentrums für Kulturtechnik, Humboldt-Universität zu Berlin and directed by Dr. Cornelia Weber (http://www.universitaetssammlungen.de/?setLocale=en). In May 2012, the Koordinierungsstelle für wissenschaftliche Universitätssammlungen in Deutschland was founded (http://wissenschaftliche-sammlungen.de/en/). In 2015, the BMBF (Federal Ministry for Education and Research: https://www.bmbf.de/en/index.html) held a competition entitled Vernetzen – Erschließen – Forschen. Allianz für universitäre Sammlungen with the aim of placing such collections of objects into their appropriate scholarly and educational context. Therefore, it is to be hoped that in the end the German university collections will soon cease to be regarded as unnecessary ballast and start to be used once more intensively – just as was the case when many of them were first gathered together. having been instrumental for the development of new disciplines, for example art history. Institutions in Australia, the United Kingdom or the US were, nonetheless, usually multidisciplinary and gave an important impetus to natural history. Possibly the oldest such collection in the form of a museum is the Ashmolean Museum of Oxford University, which was founded in 1678-1683 (http://www.ashmolean.org/). 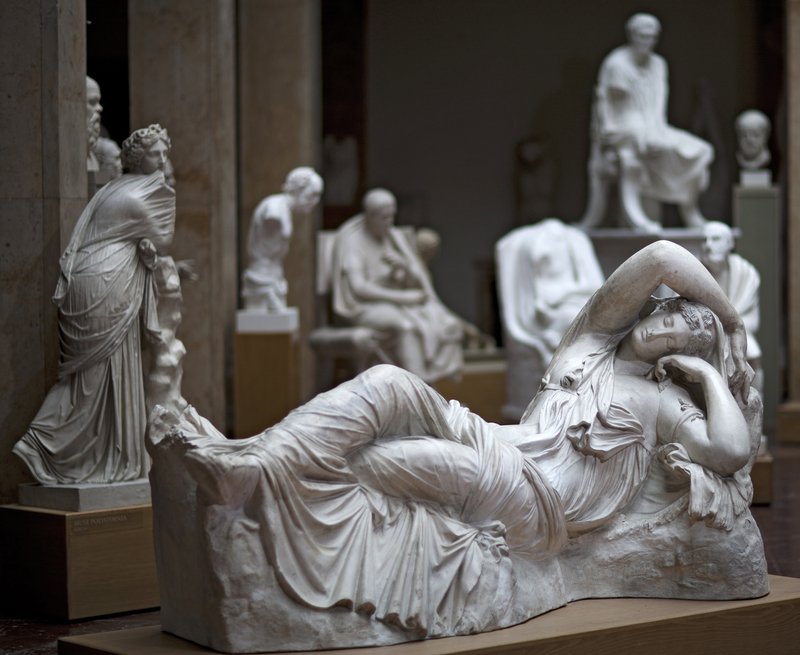 The Museum of Classical Archaeology at Cambridge University also has a notable plaster cast collection, one of the world’s largest with 450 casts (http://www.classics.cam.ac.uk/museum). Meanwhile, the collections of the foremost universities in the United States, for example the Harvard Art Museums (http://www.harvardartmuseums.org/), originally often started out as private collections but were long since incorporated into the universities teaching and research stock. They are regularly used for exhibitions and other forms of outreach projects able to inform about the history of the university and of a particular discipline but also about the people connected to a collection. For example this past May, in Cambridge M.A. the former Philosophy Chamber of Harvard University was reopened in its reconstructed shape (Ethan W. Lasser, Aleksandr Bierig, Anne Driesse, Andrew Gelfand and Teri Hensick. The Philosophy Chamber: Art and Science in Harvard’s Teaching Cabinet, 1766-1820. Yale University Press: New Haven and London, 2017). A major project like this could happen, not least, for the teaching of museum studies as well as the rise of the digital humanities had created the sort of academic climate, in which staff and students as well as former alumni and the local population developed a feeling of belonging to institutions that are flourishing and appreciated employers. So if some university collections of today’s LMU have a century-long tradition, other professorial chairs were only founded after the institution had arrived in the Bavarian capital in the nineteenth century. By that time, many professors were also collectors and in any case appreciated the importance of having a well-stocked collection of appropriate objects to be used for teaching and research. There are several examples of newly appointed professors who insisted on instituting such collections. One of them was Heinrich Brunn who in 1865 was called from Rome to receive the chair for classical archaeology in Munich. 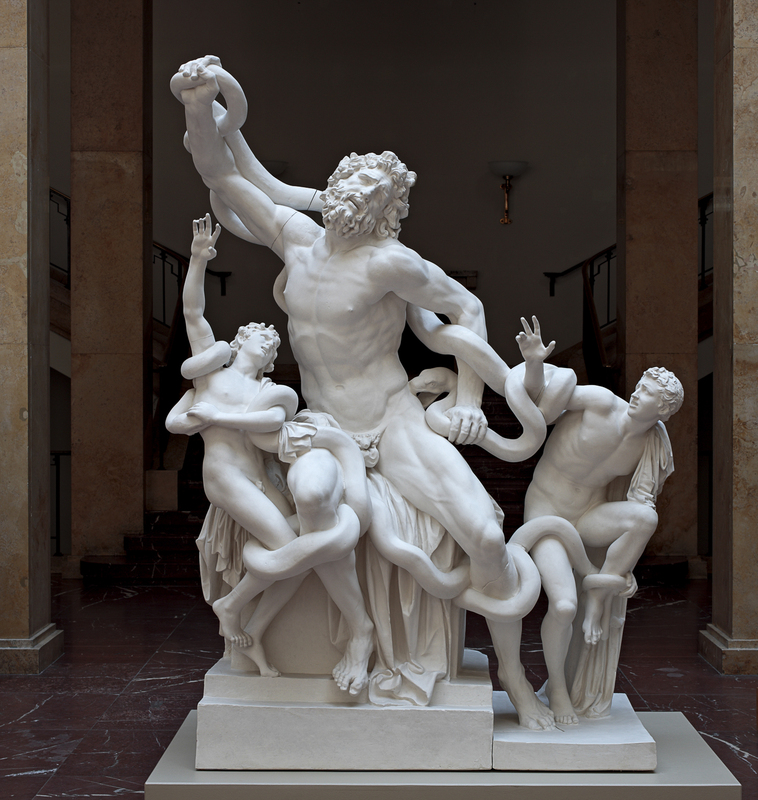 He created a collection of plaster casts of classical sculpture, took on the directorships of the Antiquarium in the Residenz (http://www.residenz-muenchen.de/englisch/museum/antiquar.htm), as well as of the Antikensammlung (collection of antiquities: http://www.antike-am-koenigsplatz.mwn.de/en/state-collections-of-antiquities-munich.html), of the Glyptothek (collection of classical sculpture: http://www.antike-am-koenigsplatz.mwn.de/en/glyptothek-munich.html) and of the Münzkabinett (coin cabinet: http://museen-in-muenchen.de/en/home/museums-a-z/museen/staatliche-muenzsammlung-muenchen-museum-fuer-muenzen-papiergeld-medaillen-und-geschnittene-steine/). Therefore, Brunn’s assignments comprised university and state collections, teaching and research as well as curatorial work from the start. All of these collections are of particular quality and renown. For the remainder of this article, the focus will, however, be on the collection of plaster casts of the archaeological institute of LMU (http://www.abgussmuseum.de/), since 1976 located in the house of cultural institutes in Katharina von Bora Street 10. In this case, we have to do with one of the very few university collections that are displayed in the form of a museum and may be accessed freely during advertised opening hours. 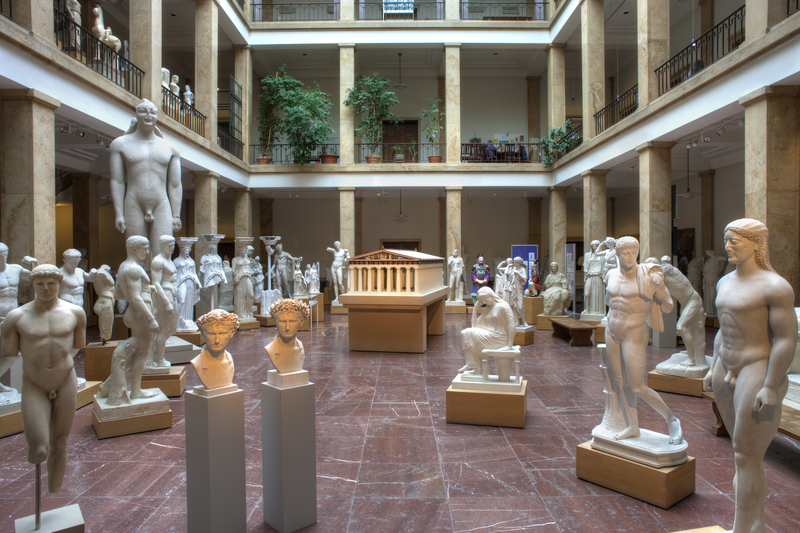 Originally, the collection was displayed at the Hofgarten but it was so heavily damaged during WWII that it fell to Paul Zanker during the post-war period to rebuild its holdings to a stock of over 1900 plaster casts. Therefore, it is today once more one of the four largest such collections in Germany. The collection is still used by the students of archaeology at LMU and also from other universities given the number and quality of the objects displayed. Museums studies – from the concept to the complete exhibition – are taught in a series of newly developed formats that span terms, universities and disciplines. The presence of the graduate school Distant Worlds (http://www.gs-distantworlds.mzaw.lmu.de/) makes the collection available for research at the LMU that is also supported by the expert knowledge of the Bayerische Akademie der Wissenschaften (https://www.badw.de/en/the-academy.html) as well as of other museums in Munich. The holdings comprise both casts of ancient works of sculpture as well as architectural models of some of the main buildings from antiquity. The focus of the collections rests on the main works of Hellenistic sculpture from the time of Alexander the Great and on Roman portraiture from the late republic to late antiquity. While the originals in marble and bronze from Greek and Roman times are disseminated in museums across the world, here faithful plaster reproductions are arranged next to one another over two halls. Of singular importance are the series of portraits of the Emperor Augustus (35 portraits) and of Alexander the Great (40 portraits). Particular highlights are the rare casts of the nineteenth century. 191 objects on long-term loan from the Metropolitan Museum of Art in New York, which have been replacing since c. 1990-2015 part of the most atrocious war damages. 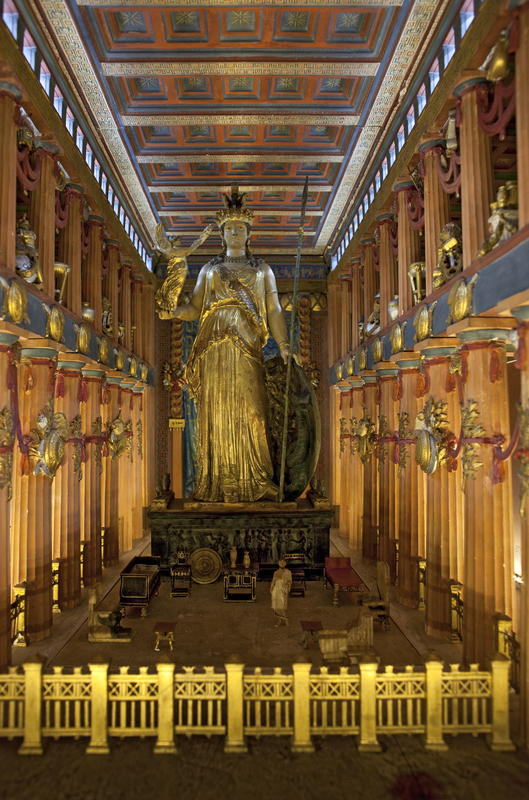 An attraction of the museum is a coloured plaster model of the famous Parthenon temple on the Acropolis in Athens (scale 1:20). It was created at the end of the nineteenth century and is the only of its kind in the world. 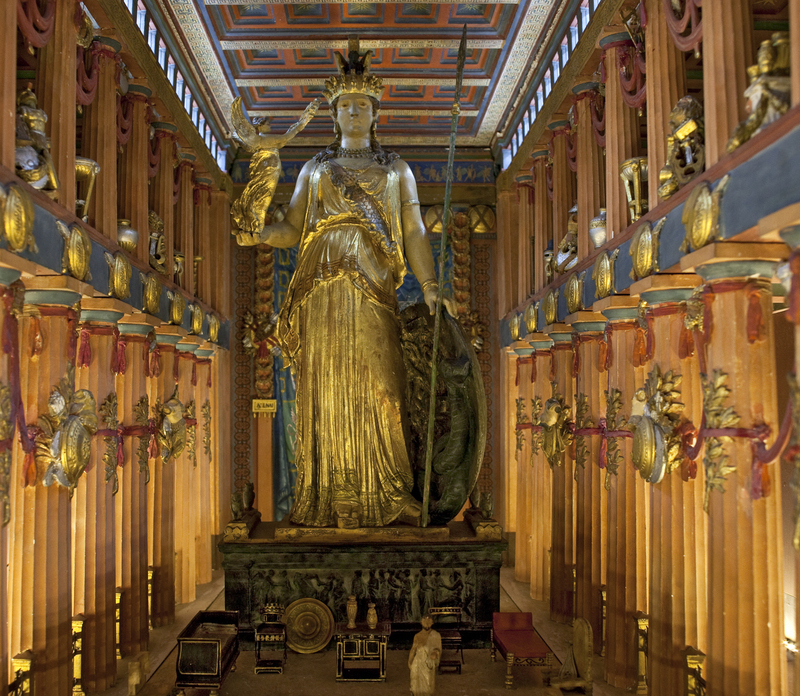 Further highlights include the plaster model of the Arch of Constantine in Rome in the same scale, the collapsible cast of the Laocoön group as well as the booty relief of the Arch of Titus made in the nineteenth century. There are also two coloured reconstructions of warriors from the terracotta army made for the tomb of the first Chinese emperor in Xi´an. The collection is thoroughly analysed on cards and in inventory books. A database is being prepared. The registration and digitisation continues steadily. The website includes a virtual tour of the museum as well as views into the atrium. Even if one is not a Classics scholar or graduate student, viewing such a vast collection of eclectic Classical material in one venue is highly recommended.